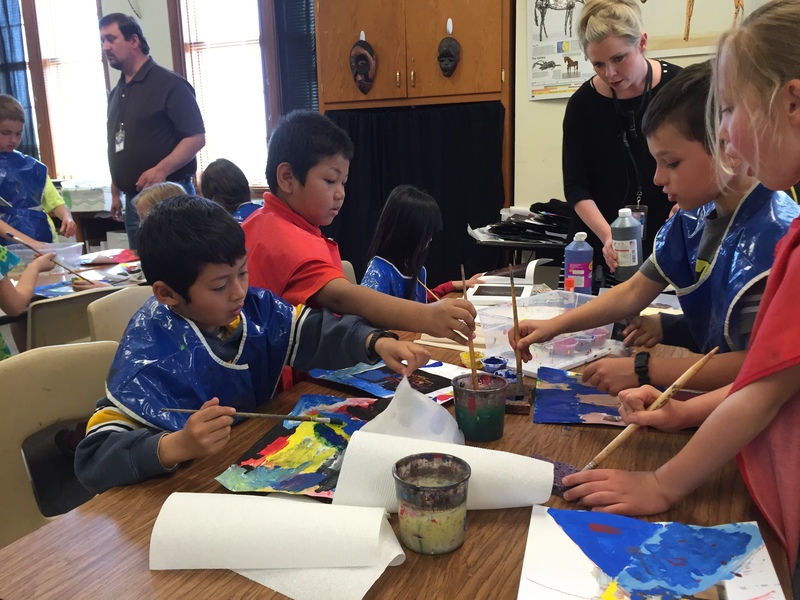 This spring, local Visual Artist Kate Marx worked in Prescott Elementary's art classes with grades K-2 to explore abstract art. 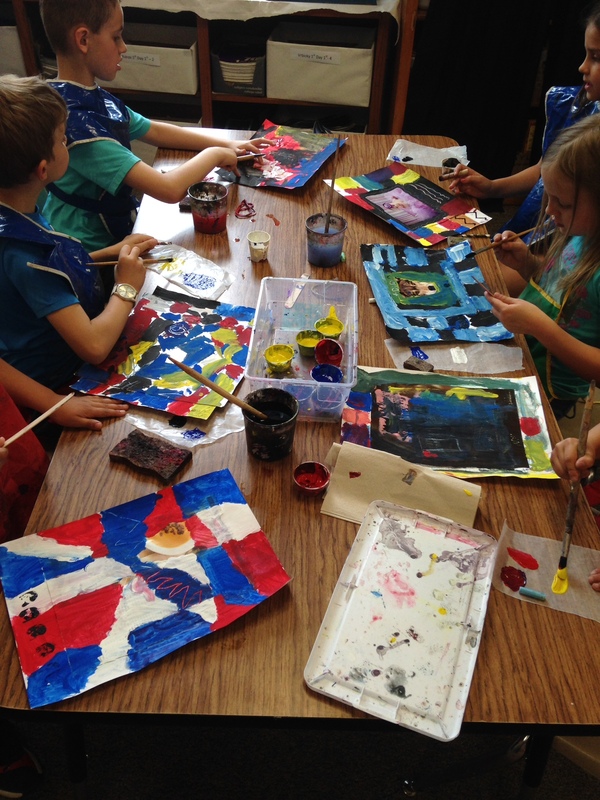 Their artwork exploration included collage work, landscape design, and mixed media arts. 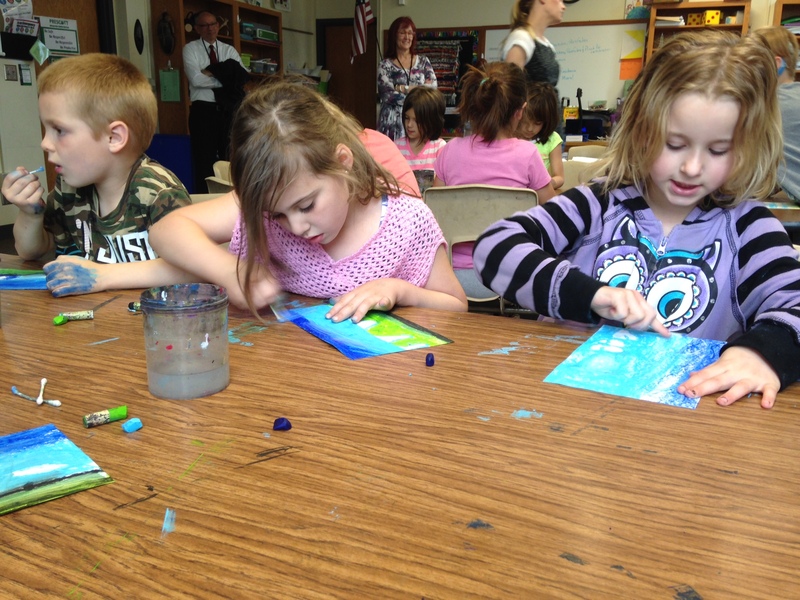 Marx collaborated with the classroom art teacher, Mrs. Ellen Jaecks-James, to design lesson plans appropriate for each grade level that introduced new art concepts and techniques to the children.  About some of the techniques used, Marx said, "The final works of art the students created was not only skillful in technique but was also very innovative as they experimented with the diversity of materials and concepts to voice their own individual and unique methods, styles, and ideas." 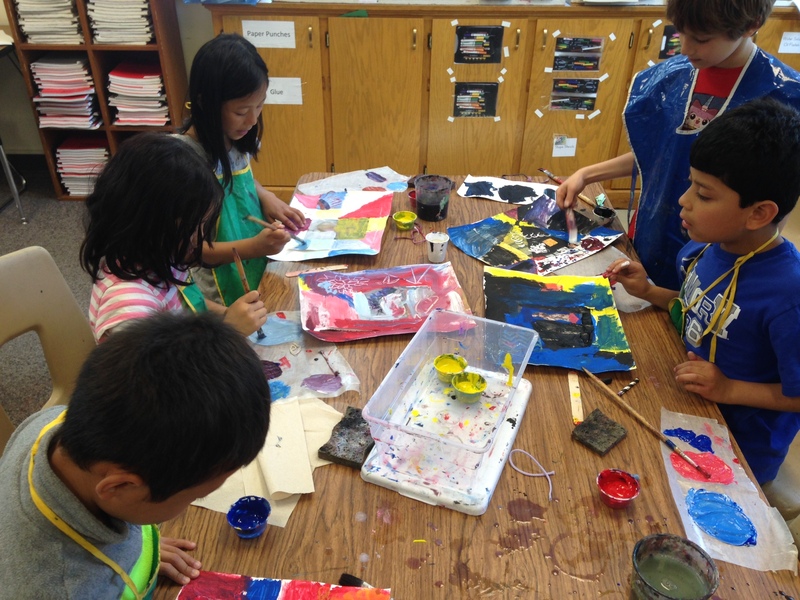 The diversity of the students provided opportunities for growth as artists and learners, with some English Language Learner and Special Needs students in the classes. 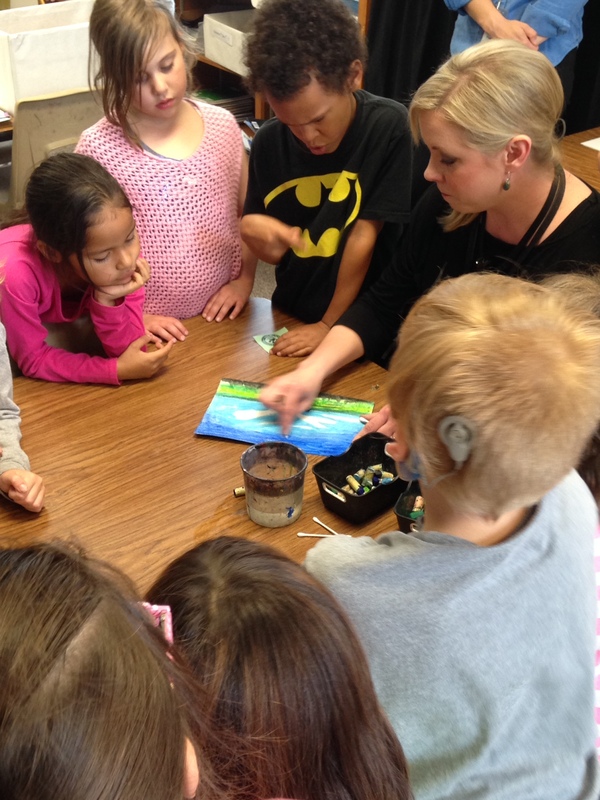 Over the course of a few weeks, Marx was able to get to know individual students, elaborate on student ideas, cater to specific needs, and inspire students to develop their creative thinking skills. 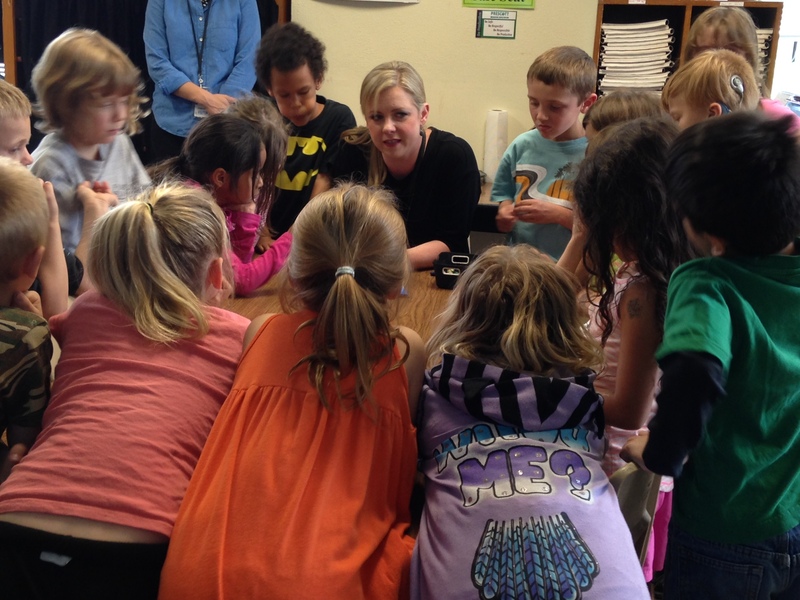 Check out the photos below to see Kate Marx in action with the children at Prescott!